From Carl Sandburg’s Rootabaga Stories: The story of two skyscrapers, a tin brass goose and a tin brass goat, a long distance train, and the Northwest Wind. 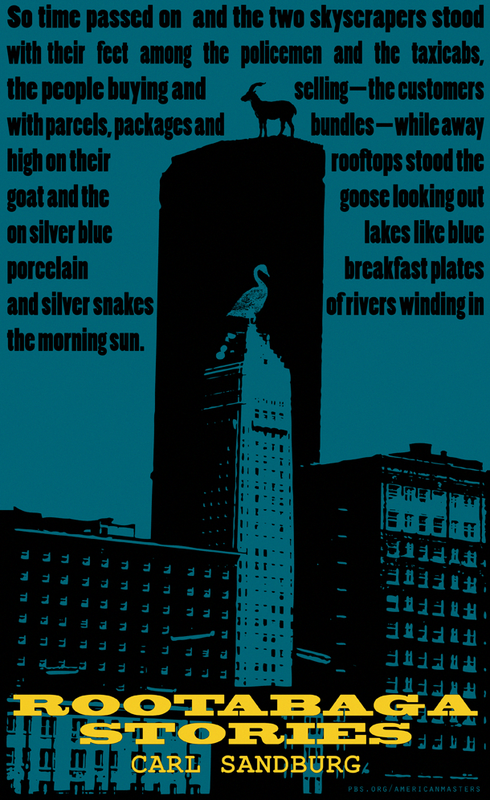 High on the roof of one of the skyscrapers was a tin brass goat looking out across prairies, and silver blue lakes shining like blue porcelain breakfast plates, and out across silver snakes of winding rivers in the morning sun. And high on the roof of the other skyscraper was tin brass goose looking out across prairies, and silver blue lakes shining like blue porcelain breakfast plates, and out across silver snakes of winding rivers in the morning sun. “Well, I see the city is here yet,” the Northwest Wind would whistle to the skyscrapers. “Yes, the mountains are there yonder, and farther yonder is the sea, and the railroads are still going, still running across the prairie to the mountains, to the sea,” the Northwest Wind would answer. So time passed on and the two skyscrapers stood with their feet among the policemen and the taxicabs, the people buying and selling, —the customers with parcels, packages and bundles—while away high on their roofs stood the goat and the goose looking out on silver blue lakes like blue porcelain breakfast plates and silver snakes of rivers winding in the morning sun. They were glad their child was useful, the two skyscrapers were, glad their child was carrying a thousand people a thousand miles a days, so when people spoke of the Golden Spike Limited, they spoke of it as a strong, lovely child. Then time passed on. There came a day when the newsies yelled as though they were crazy. “Yah yah, blah blah, yoh, yoh,” was what it sounded like to the two skyscrapers who never bothered much about what the newsies were yelling. “Yah yah, blah blah, yoh, yoh,” was the cry of the newsies that came up again to the tops of the skyscrapers. 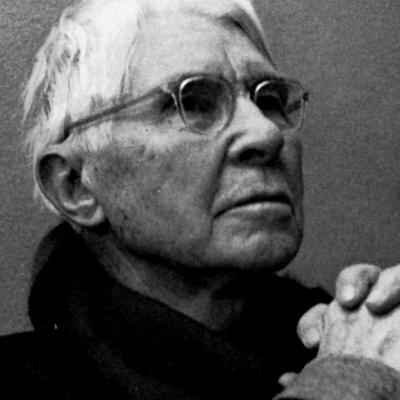 Public Domain: Carl Sandburg’s Rootabaga Stories was originally published in 1922.